Cellist Patricia White is the leader of Stringsound Ensembles. Patricia is a graduate of The Juilliard School, from which she received her Bachelor’s and Master’s degrees in Cello Performance. Patricia teaches cello privately in her flourishing home studio. In addition to an active freelance career, she plays with the Northwest Indiana Symphony and is principal cellist of the South Shore Orchestra. 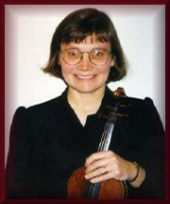 Violist Nora Frisk holds a Bachelor of Music degree from the University of Illinois and a Master of Music degree from the University of Wisconsin-Madison. She has been principal violist of the Wisconsin Chamber Orchestra since 1987, and also performs with the following orchestras: the Kalamazoo Symphony, the South Shore Orchestra, and the Grand Rapids Symphony. 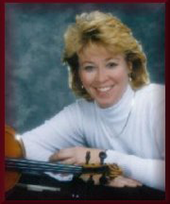 Nora is adjunct professor of viola at the University of Notre Dame. She is also a member of the innovative duo LaSté, which pairs viola and steel drums in recital performances and children’s programs. 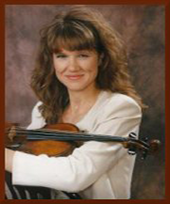 Violinist Tammie Ringas graduated with honors from the University of Indiana, Bloomington. There, she majored in violin and received both her Bachelor and Master of Performance degrees. Tammie has been the winner of prestigious competitions, including the Rose Faye Centennial Competition, which resulted in a solo performance at Orchestra Hall in Chicago. Currently, Tammie freelances in the Chicago and Northwest Indiana area, and performs regularly as a recitalist. Violinist/Violist Monica Schafer is a graduate of Valparaiso University, where she received a Bachelor of Music Education degree. Monica went on to receive her Master of Performance degree from the Peabody Conservatory. Monica teaches orchestra in the Valparaiso School System and performs actively as a freelance musician in the Northwest Indiana and Chicago area.